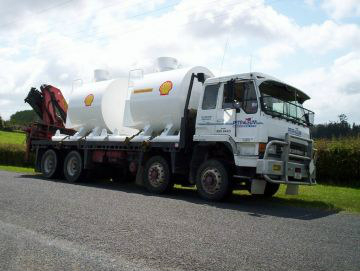 Petroleum Services operates a comprehensive transportation service. Our drivers have Dangerous Goods endorsements on their licenses and with our truck mounted crane we can load and unload tanks, containment bunds and equipment. Our lifting capacity is 6500kg and we have a full deck truck and trailer.